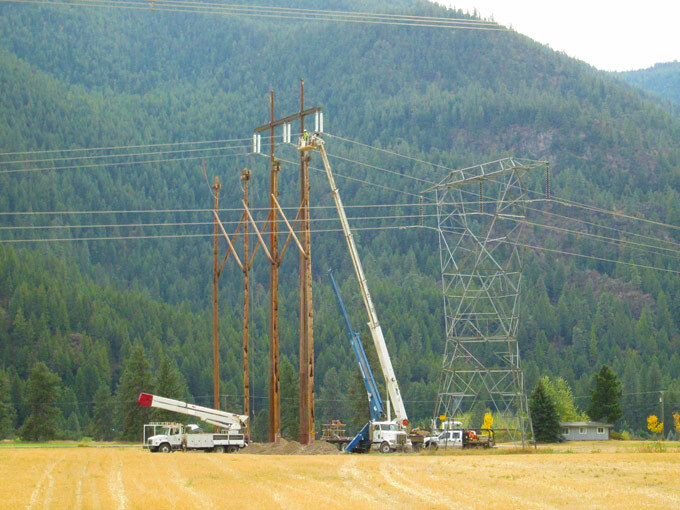 Mountain Power Construction is the ultimate source for all of your medium and high-voltage overhead distribution projects – including new construction, maintenance and emergency storm restoration. Our efficiency is second-to-none, with a crew of IBEW journeyman lineman supervised by extensively skilled leaders and backed by over 400 pieces of specialized equipment. We are highly responsive, with the ability to quickly react and accommodate your scheduling needs and critical outage requirements. Our overhead distribution services include highly collaborative design/build projects delivered on time, on budget, and to the highest standard of quality and safety. And, we pay critical attention to environmental aspects and future upgrades at every stage.